Join hundreds of passionate people in your community for a day full of entertainment, fun and, of course, our signature walk! 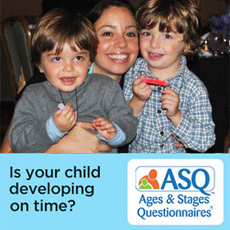 Children develop skills, or "milestones," at their own pace. How is your child or grandchild doing? Below is a list of common questions we hear at Easter Seals, and their answers. If you have another question or would like to request more information about Easter Seals, feel free to use our online form to contact us. Thanks for your interest! Easter Seals provides services to help children and adults with disabilities and/or special needs as well as support to their families. We've been helping families for nearly 100 years. Today, Easter Seals assists more than one million individuals and their families annually at more than 550 Easter Seals service sites across the country. Each center provides top-quality, innovative services tailored to meet the specific needs of the people we serve. What types of services does Easter Seals provide? Are Easter Seals services limited to specific types of disabilities? No. Easter Seals is committed to caring for children and adults with physical and mental disabilities and special needs resulting from any cause -- whether diagnosed at birth or incurred through disease, accidental injury or the aging process. How many people receive Easter Seals services each year? Every year, more than one million individuals benefit from Easter Seals services. Additionally, Easter Seals helps more than 100,000 physicians, therapists and other professionals learn ways to improve services for people with disabilities through professional education programs. How is Easter Seals supported financially? Easter Seals receives funding from a variety of sources, including private insurers, government agencies and fee-for-service. To make our services accessible to as many people as possible Easter Seals also relies on public contributions. Public contributions help cover the difference between actual program costs and what our clients can afford. 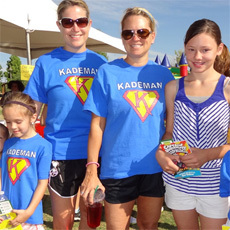 Help us to continue to provide exceptional services by making an online donation. How are the funds disseminated? Easter Seals is proud of putting your donations to work effectively. More than 90 percent of Easter Seals' revenue supports services in the area where funds are raised. Easter Seal is a grassroots, community-based organization. How large is the Easter Seals organization? Easter Seals assists more than one million individuals with disabilities each year at more than 550 service sites in the United States and Puerto Rico. Easter Seals headquarters in Chicago provides assistance to more than 70 affiliates through management training, implementation of best practices and consultation services. Is Easter Seals a non-profit organization? Yes. Easter Seals is a non-profit provider of health and human services, incorporated under the provisions of Section 501(c)(3) of the Internal Revenue Code. Does Easter Seals have a religious affiliation? No. Easter Seals is not affiliated with any religion and does not discriminate. At the core of the Easter Seals organization is a common passion for caring, shared by our staff and by those who support our mission. Easter "seals" are stamp-like seals that were first created in 1934 to raise money for services benefiting children with disabilities. Then known as the National Society for Crippled Children, the organization was re-named "Easter Seals" in 1967, reflecting the public's awareness and acceptance of the campaign. Do Easter "seals" still exist today? Yes. In fact, Easter Seals mails seals to more than 19 million households across the country every year, raising almost $14 million to support services to children and adults with disabilities and their families. Easter Seals' continued success in providing services to people with disabilities would not be possible without volunteers! Your time, energy and hearts will inspire and touch the lives of those we serve. Your personal commitment enhances the services we provide to our clients nationwide. Search for a volunteer opportunity in your area. Become an Easter Seals advocate!